With over 65 million feet installed across the US, and a lifetime manufacturer warranty – strongest in the industry – Gutter Helmet® is the premier gutter protection solution on the market. Gutter Helmet®‘s multi-patented design keeps Northern New Jersey rain gutters free flowing year round – even in the harshest of weather conditions. See what some of our many happy customers have to say. Read some gutter guard reviews. 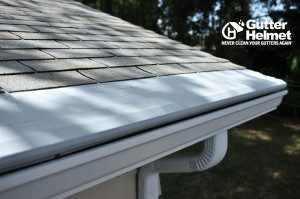 And learn how the Gutter Helmet® gutter guard system works. Then arrange for your free estimate.